Pick your box. Prefer to use your spirits at home? No problem. Gift cards also available here! 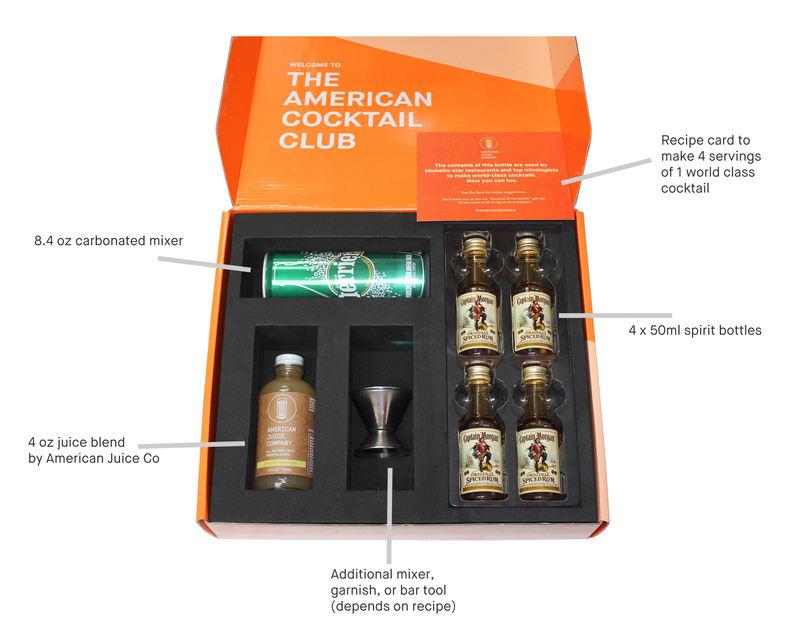 This Box contains all the ingredients except the alcohol to make 4 servings of a world class cocktail. 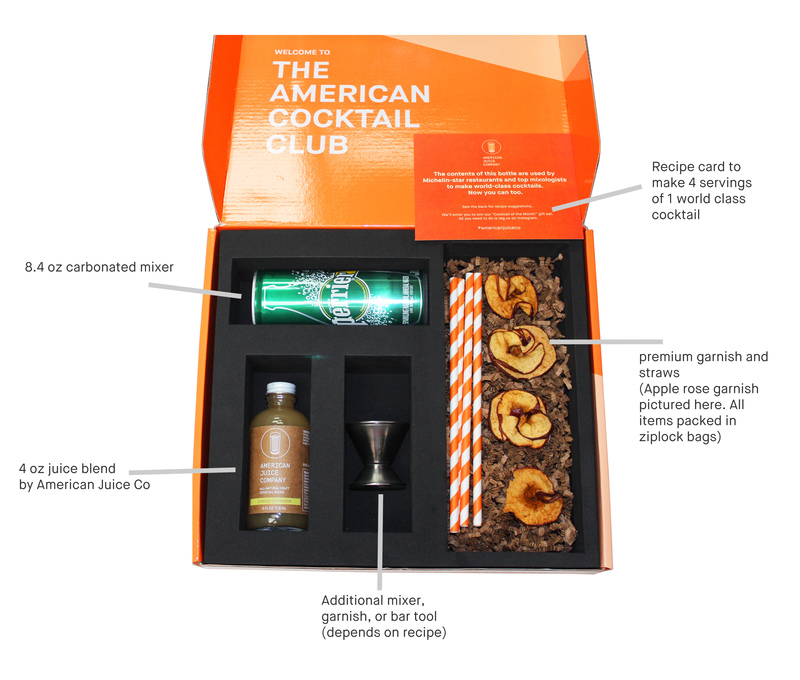 Everything including the alcohol to make 4 servings of a world class cocktail.